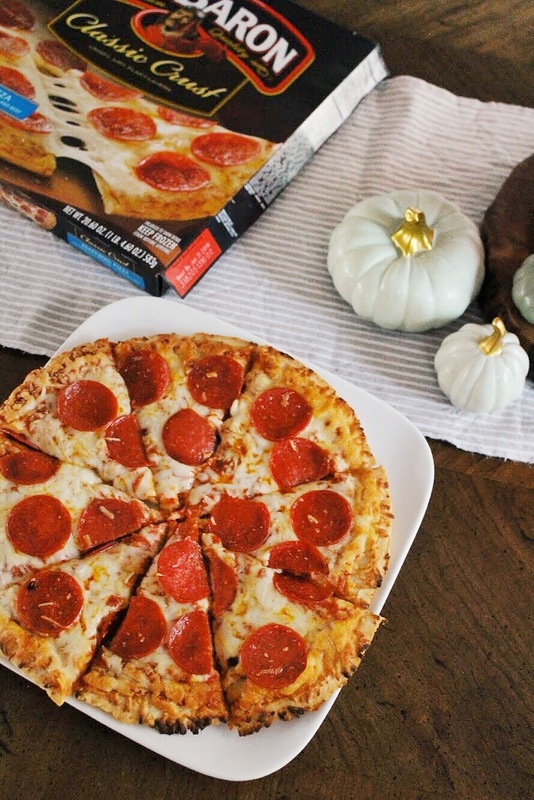 The season for all things spooky and sweet is upon us once again and as much as I enjoy our fun family traditions, the chaos that ensues in the process can be completely draining by dinner time. If there's anything moms of toddlers know best, it's that picky eaters are hard to please. 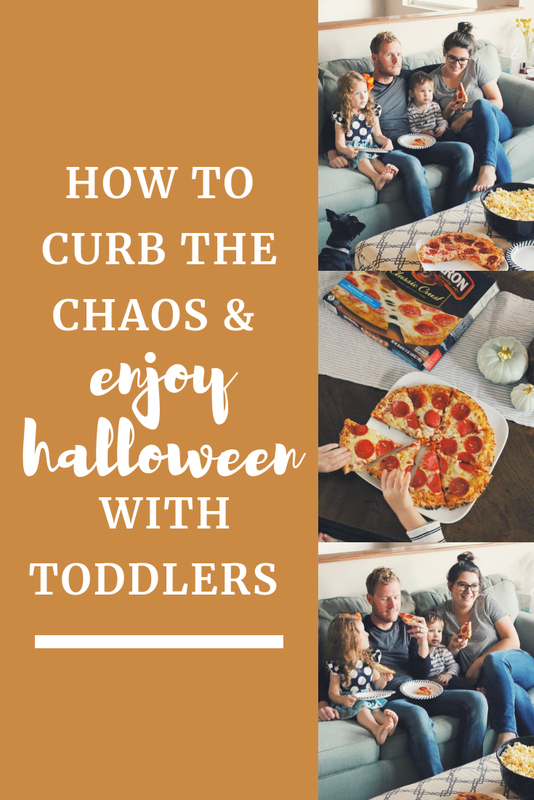 Add candy shopping and excitement to the mix and dinner will feel more like a battle, but with the help of Red Baron, we're taking back our family traditions and conquering the chaos! Our Halloween season begins October 1. The decorations are out and stores are looking spooky, so that can only mean one thing: time to shop for costumes and candy! I love seeing the kids light up and chatter about what kind of candy they're going to set out for the neighbors and what kind of treats they'll receive themselves! 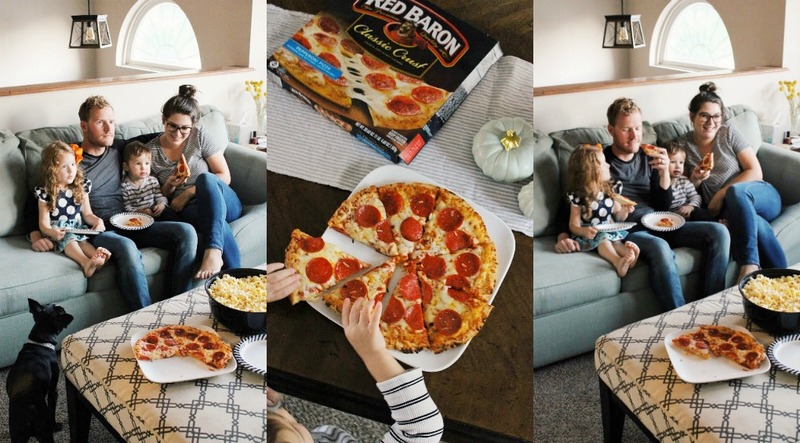 It's going to be a night full of fun for them, so what better choice for dinner than a Red Baron frozen pizza? We're already at our local grocery store, so there's no fighting over what's for dinner when we get home and because the kids are excited to help make dinner, they're distracted from all of that candy we just bought! It's the ultimate secret weapon to tackling those cranky, riled up toddlers! 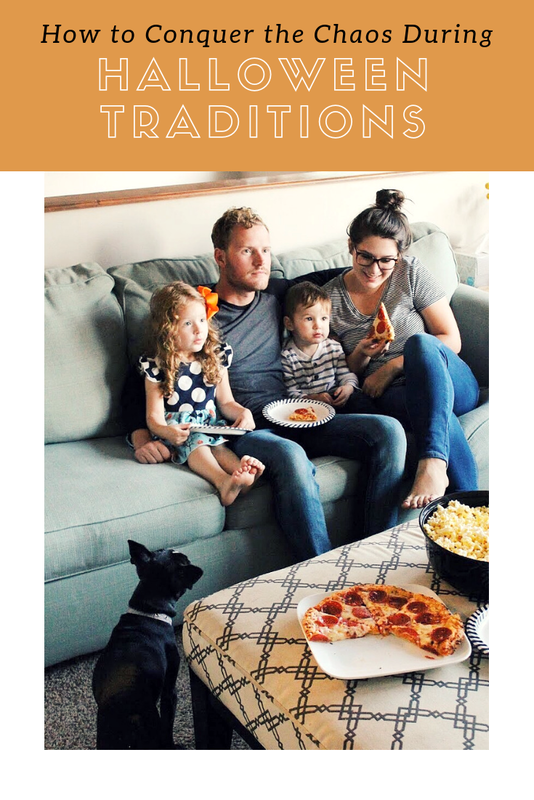 Red Baron pizza makes a tradition in and of itself for our family! 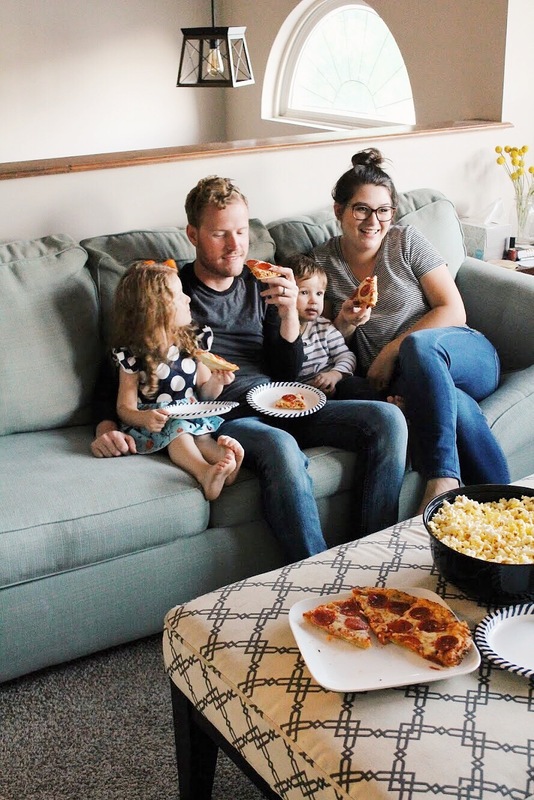 It's simple enough the kids can "help" prepare it, bakes quickly for hungry little impatient bellies, and is an exciting treat for them to look forward to during our family movie night! Best of all, Preston and I can enjoy it, too! 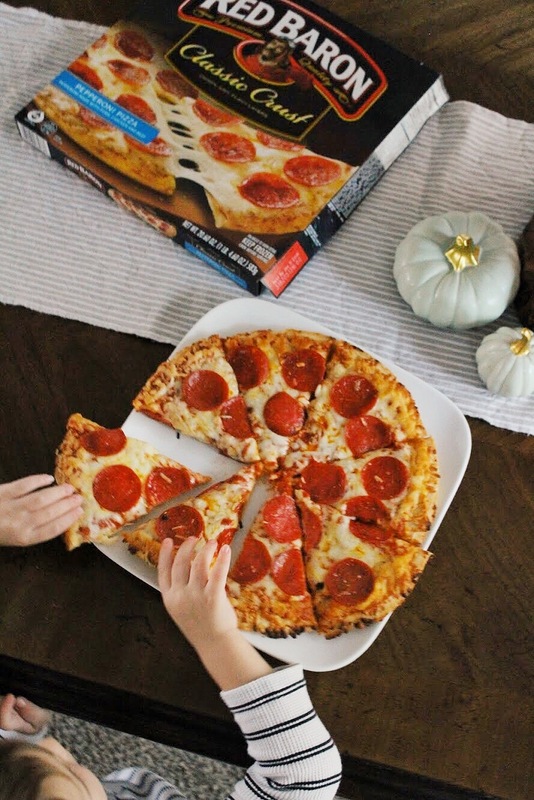 We always choose Red Baron Classic Crust Pizza in Pepperoni, but it's also available in 11 different flavors so there's an option for everyone! After a busy evening of Halloween prep, Red Baron is the perfect solution to the holiday chaos. Do you have any Halloween traditions? How would you make Red Baron a part of your next family night? So important to enjoy traditions without feeling the pressure to do so. I love this. Yes! It can be so overwhelming and really ruin the memory when you forget to stop and enjoy! 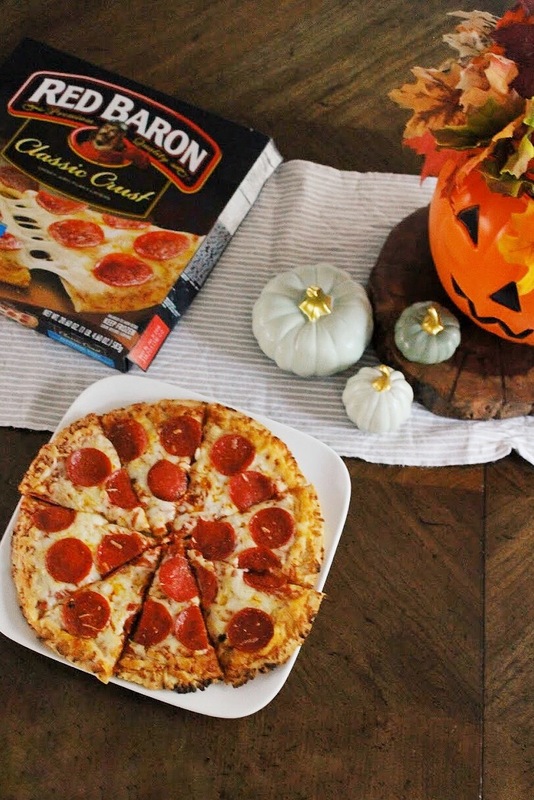 Red Baron is our favorite frozen pizza! 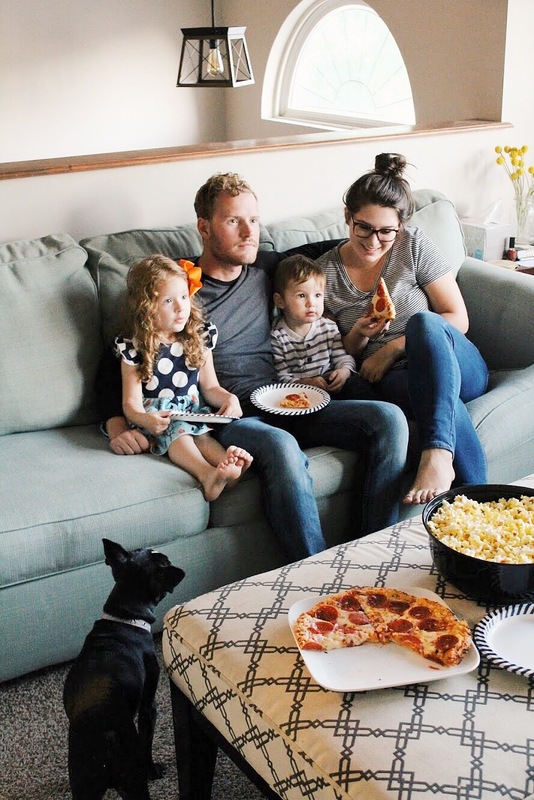 Movie night on the coach with pizza is our favorite family tradition! Us, too! And agreed--Red Baron is definitely the best frozen pizza on the market! We have lots of little traditions for every holiday, and some even in between (like seasonal or just weekend trips)! It is always a lot of fun! Thanks for your sweet comment! I love making new traditions with our family. Now that we are moving, I can't wait to make some new ones. How exciting! I bet Halloween will be extra fun this year! Pizza always comes in when you need it most! It's a favorite in our house, for sure!